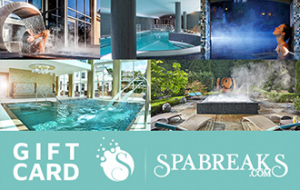 Spabreaks.com is Europe's leading spa booking service, working with more than 800 venues in the UK and overseas and helping more than 6000 people to find the perfect spa day or break each week. The nationwide service offers spa breaks for ‘every body’, with the choice of booking online, over the phone or using an online chat facility. You can also purchase gift vouchers delivered by email, post, or as part of a gift box. To redeem your voucher please call Spa Breaks on 0800 193 6646 and quote your voucher code reference. All gift vouchers are valid for 12 months from date of purchase. Gift cards can be used against any ticket or package on the Spa Breaks website. Gift vouchers can not be used directly at the Spas or hotels.